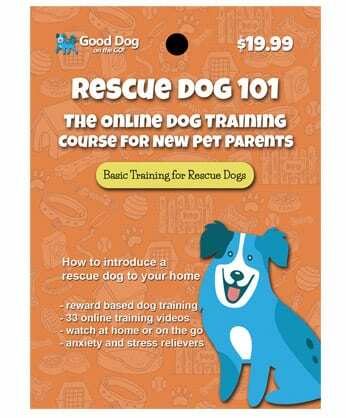 Rescue Dog 101 was designed especially for pet parents of a new rescue dog. Our program takes into account the trauma that your rescue dog could have experienced prior to be matched with your family. This program focuses on exercises designed to relieve stress and anxiety. 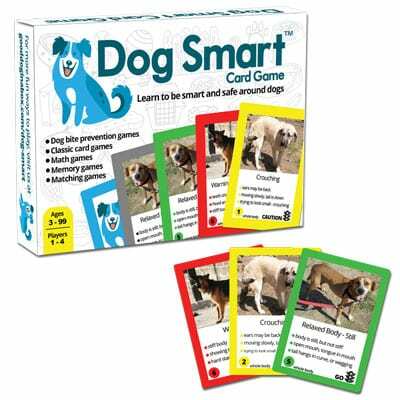 It also covers several basic dog training exercises. Includes 33 online training videos. Watch at home or train on the go. 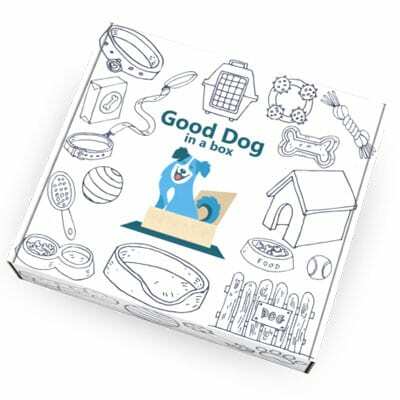 The Rescue Dog 101 online course features sit, down, getting your dog used to his new name, attention games, come when called, using a crate, Tellington TTouch relaxation and stress reduction exercises, how to use food dispensing toys, targeting, go to your bed, and the top 10 must have dog items. This program was developed to build a successful and safe relationship between your dog and family. We want to give all members of your family the tools they need to stay safe, to learn about dogs, and to respect all dogs. Plus, we want to give your dog skills that will help them be a good member of your family and community. 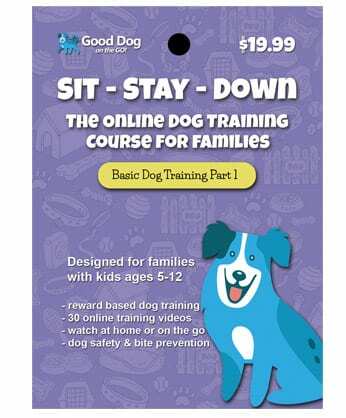 Many of the dog training exercises in the Good Dog program are kid friendly, meaning that your children can participate with adult supervision. Children under the age of twelve should always be supervised around a dog, even a family dog that you’ve known for years. 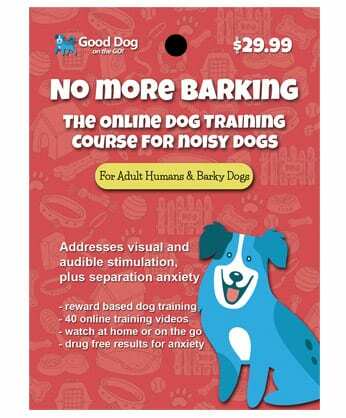 The Good Dog program does not address aggressive or fear based behaviors in dogs, which require the assistance of a positive reinforcement dog training professional.